Star Wars: The Clone Wars is back! Mark Hamill regrets his Last Jedi criticisms. Really??? 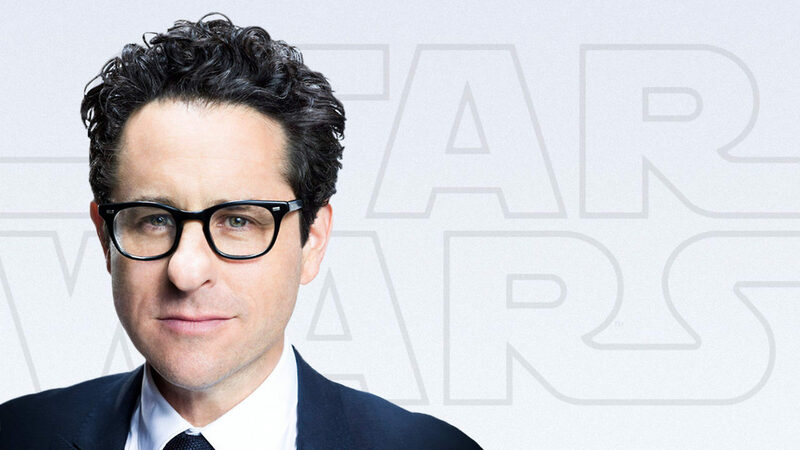 J.J. Abrams has been hired to direct Star Wars: Episode IX, following the departure of original helmsman Colin Trevorrow. Recently, Lucasfilm made waves when they parted ways with the Jurassic World filmmaker, citing creative differences over the project. Unfortunately for the studio, this was the second such incident they’ve been through in the past few months, as Phil Lord and Chris Miller were infamously fired from the Han Solo anthology movie back in June. 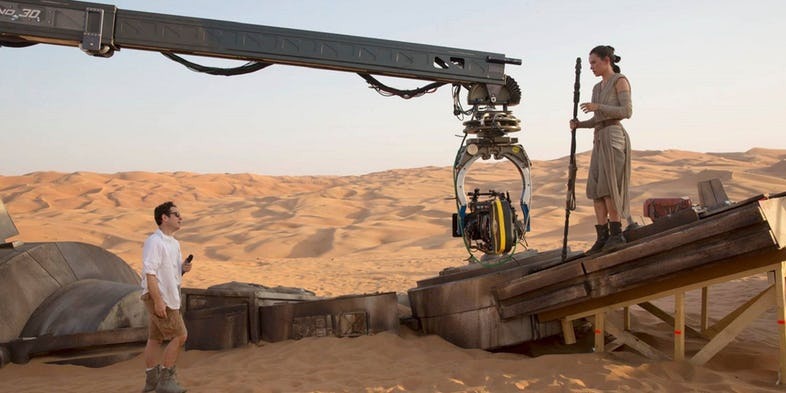 Though Lucasfilm’s new Star Wars films have been successful critically and commercially, their numerous director woes have some fans concerned about the stability of the franchise moving forward. At the time of the Trevorrow announcement, many had presumed a replacement was lined up, especially considering Episode IX‘s schedule. Lucasfilm plans on beginning principal photography in January 2018. Given how fast they brought Ron Howard aboard to take over for Lord and Miller, nobody expected the Star Wars 9 director search to go on for very long, and now they’ve found who is (hopefully) the right person for the job. According to Deadline, Last Jedi writer/director Rian Johnson was initially offered the gig, but declined. This led to the studio reaching out to Abrams, and obviously an agreement was made. While Abrams is most definitely a safe choice, he’s also a logical one at this point in time. With Episode IXundergoing a complete overhaul of its creative team so soon before production starts up, it was a necessity for Lucasfilm to find someone they know works well in their system so they can avoid future issues from arising. 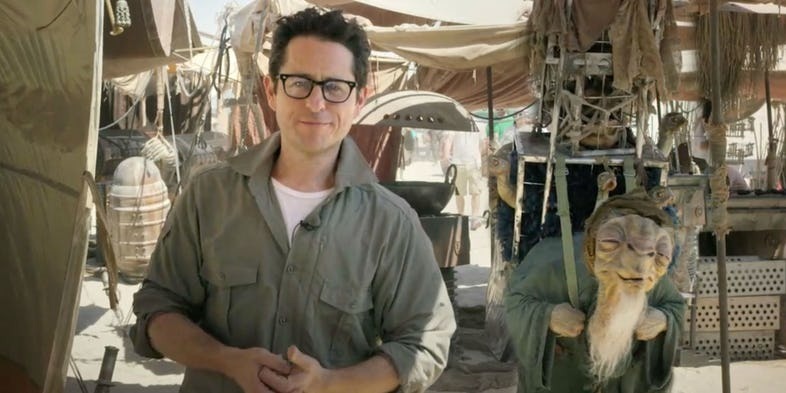 Additionally, as the one who started the sequel trilogy, Abrams created several new fan-favorite characters like Rey, Finn, and Kylo Ren, so he should be able to end their respective stories on a resonant and (ideally) high note. Plus, he is a die-hard Star Wars fan and demonstrated a deep understanding for what made the original trilogy so special on Episode VII. 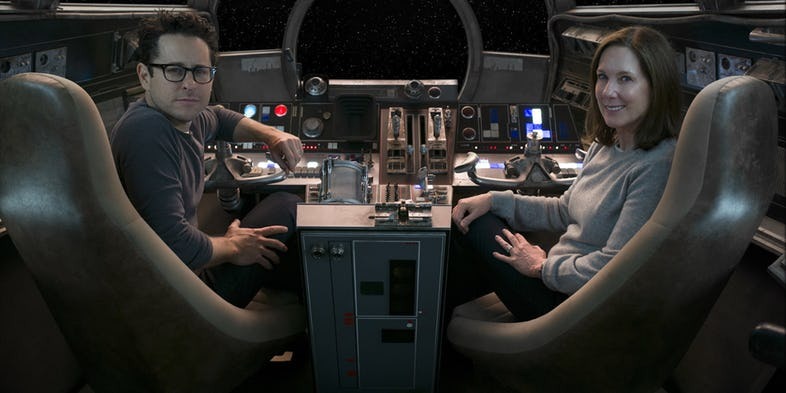 As of now, Episode IX remains on track to commence filming in about four months, so Abrams and Terrio have their work cut out for them if the film is to stay on that trajectory. 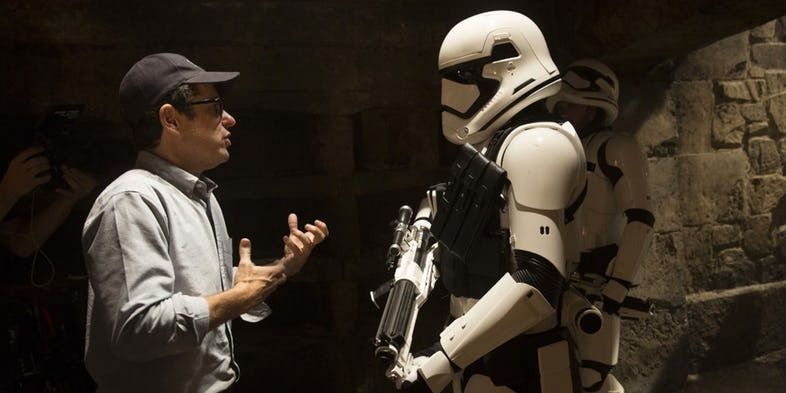 Fortunately, Abrams has been involved with the development of the sequel trilogy over the past couple of years, serving as an executive producer on Last Jedi and being a member of the brain trust Trevorrow was bouncing ideas off of during his time on the film. This was probably a key factor in his hiring, as he possesses knowledge of the narrative and isn’t just jumping in fresh. Abrams may not have been the first name on many fans’ wish lists, but he has the experience and ability to close the saga out in entertaining fashion – and that’s ultimately what matters most. Argo and Justice League screenwriter Chris Terrio is co-writing Star Wars Episode IX, replacing recent hiring Jack Thorne. It’s been a dramatic week for the final film of the Star Wars sequel trilogy. Last Tuesday, Colin Trevorrow left the project, leaving a massive director hole on the May 2019 release. 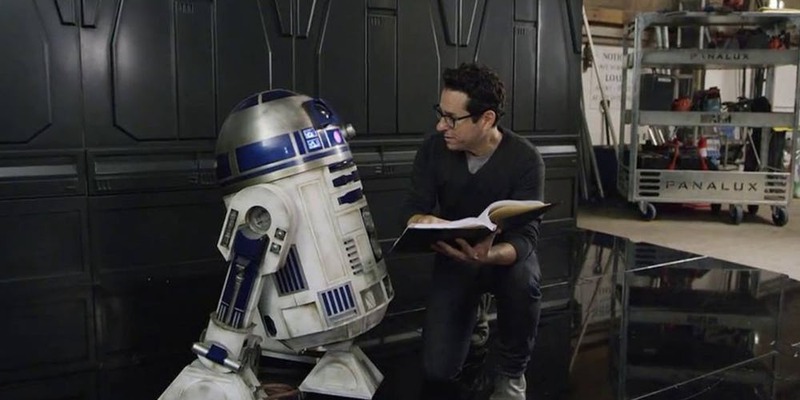 He’s now been replaced by J.J. Abrams, who will be both directing and writing the finale to the series he started with The Force Awakens. But that’s not the only change. A month ago, Jack Thorne, perhaps best known for writing the Harry Potter and the Cursed Child stageplay, was brought on to rewrite Trevorrow’s screenplay. It now appears he too has departed the project as Abrams’ co-writer is someone new. In the announcement that confirmed J.J.’s return, Lucasfilm also revealed that Chris Terrio will be co-writing the Star Wars 9 script. This means that in addition to getting a new filmmaker behind the camera, there’s an entirely new creative team working on the screenplay. Terrio won an Oscar for Best Adapted Screenplay for his work on Argo. He then followed Ben Affleck, that movie’s star and director, to the DC Extended Universe: he punched up David Goyer’s Batman v Superman: Dawn of Justice script and wrote the original Justice League screenplaybased on a story treatment by himself and Snyder (which has now had rewrites care of Joss Whedon). The question still remains of what happened to Thorne. He’s a semi-controversial figure in geek culture for his fan-fiction-esque Harry Pottertake (which he worked on with creator J.K. Rowling), but it seems more likely a result of Trevorrow’s departure; reports citing the director as “difficult” also raised story concerns, something that could necessitate a new writer. If so, that may mean Star Wars 9‘s development will be going back to basics with the new hirings. Terrio will be co-writing with Abrams, who also shared scripting duties on The Force Awakens with Lawrence Kasdan. There the director was the learner, with the Empire and Jedi vet steering the way, but now returning for Episode IX he’s the experienced master, which makes how his and Terrio’s relationship will work intriguing.